If you want a flawless complexion, you need a high-quality foundation by your side. Expert Makeup Artist Napoleon Perdis has developed a large range of luxury foundations in a variety of formulations, finishes, and coverage levels for all skin types and tastes. Whether you want a liquid foundation with maximum coverage, a matte powder to set your makeup in place, or a tinted moisturiser to nourish and protect skin, Napoleon Perdis foundations ensure the finest quality and a long-lasting airbrushed finish. Which Napoleon Perdis foundation is best for full coverage? The Foundation Stick is the perfect choice for ultimate versatility, as it can be applied sheerly or built up for full coverage. This matte foundation is a 2-in-1 concealer and foundation that conceals blemishes, scarring, and pigmentation whilst evening out skin tones for an airbrushed look. Offering maximum longevity, the Foundation Stick is a favourite amongst makeup artists for a flawless finish. Which Napoleon Perdis foundation is best for medium coverage? Napoleon Perdis offers a selection of medium-coverage foundations, such as China Doll Foundation and Stroke of Genius: Liquid Cashmere Foundation SPF 20. China Doll Foundation is a lightweight, long-wearing liquid foundation that combines foundation and setting powder into one matte, doll-like finish. Stroke of Genius has a dewier finish and is enriched with a powerful blend of antioxidants and soft-focus spheres to protect and plump complexions. Stroke of Genius comes with a built-in foundation brush for easy and quick makeup application. Which Napoleon Perdis foundation is best for sheer coverage? Blur the boundaries between skincare and makeup with Napoleon Perdis Personal Trainer Serum Foundation. This lightweight foundation provides maximum skin benefits and sheer coverage. Ideal for dull and dry complexions, Serum Foundation adds luminosity and hydration whilst perfecting skin tones. Alternatively, Off Duty Tinted Moisturiser can be used as a primer under powder or liquid foundation. On its own, Off Duty calms and comforts the skin whilst providing sheer coverage and long-lasting hydration. 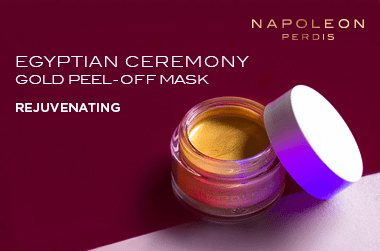 Which Napoleon Perdis foundation is best for oily skin? Those with oilier complexions should consider a powder foundation such as Napoleon Perdis Camera Finish Compact, which can either be used on its own to mattify skin, or as a setting powder over liquid and stick foundations. China Doll Foundation is also a great choice for oily skin types. It works as a 2-in-1 foundation and setting powder, and delivers a long-lasting matte finish. Which Napoleon Perdis foundation is best for dry skin? Enjoy an instant hydration boost to dry skin with foundations from Napoleon Perdis. Personal Trainer Serum Foundation is a hybrid between skincare and makeup, as it is enriched with hydrating ingredients that nourish skin whilst providing sheer coverage. Off Duty Tinted Moisturiser also works to rehydrate dry complexions whilst evening out skin tones. Stroke of Genius: Liquid Cashmere Foundation SPF 20 provides medium-to-full coverage without drying out dehydrated complexions. Which Napoleon Perdis foundation is best for sensitive skin? Advanced Mineral Makeup SPF 15 is a bestselling mineral foundation from Napoleon Perdis, adored by those with sensitive skin types. This weightless liquid foundation uses light-diffusers and mineral-rich antioxidants to protect skin and reduce the risk of inflammation and irritation. Providing a semi-matte finish, Advanced Mineral Makeup offers long-lasting hold and a flawless complexion. Which Napoleon Perdis foundation is best for ageing skin? Ageing skin benefits most from Napoleon Perdis Sheer Genius Liquid Foundation. This revolutionary, high-quality makeup base uses Hydrogel Technology to help minimise the appearance of fine lines and wrinkles whilst creating luminous coverage. Napoleon Perdis liquid foundations have been designed for effortless application and airbrushed results. Simply apply to the centre of the face and blend outwards with either a buffing brush or beauty sponge. The Pro Makeup Blending Sponge is the perfect tool for liquid foundation. The sponge’s large end can be used to blend the bulk of foundation, whilst the tapered end is perfect for concealer and smaller areas. Powder foundations can either be applied on their own for sheer-to-medium coverage, or over liquid and stick foundations to set the look in place. The Camera Finish Compact Powder from Napoleon Perdis is a must-have for any handbag, as the generous mirror allows for easy on-the-go top-ups. The Foundation Stick can be used in a variety of ways to achieve different looks. For sheer coverage, mix in with the Napoleon Perdis Auto Pilot Pre-Foundation Skin Primer for a natural finish that evens out skin tones. For medium-to-full coverage, apply directly to the skin and blend out with a foundation brush, building up coverage in problematic areas. The Foundation Stick can also be used as a concealer. Simply apply directly to skin and pat into areas that need higher coverage, such as blemishes, scars, pigmentation, and the area under the eyes. Love it. So easy to apply and achieve varying levels of coverage. Blend it with a brush for a great finish. I found this product to be great for days when I was strapped for time, no primer needed it never seemed to have any problems staying put. I did find the coverage was good compared to other tinted moisturizers I have used. My only issues were the oily feel and the sparkly finish. A little sparkle is great but not my thing for every day.